Over 20 Years Experience in the Balloon Industry! How fun are Balloons in Las Vegas? Well, given how technology over the past century has continually progressed, balloons have come a long way. Originally used for science experiments and soon after for military use, they went commercial. Becoming mostly party favors and right around the 70’s, foil balloons came into play allowing for billboard style fun. Complete with graphic art and messages like “Happy Birthday” or “Get Well Soon!”. They paired perfectly with a bouquet of flowers, presents, or a delicious birthday cake. Maybe even a Hallmark card. 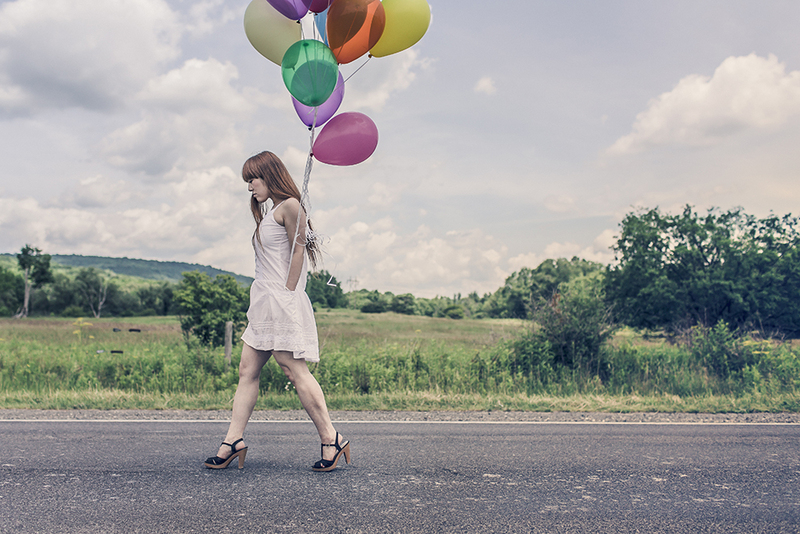 Think of how many times you brightened up someone’s day with a simple floating balloon? Not only do they carry a message, but they defy gravity! How fun is that?! 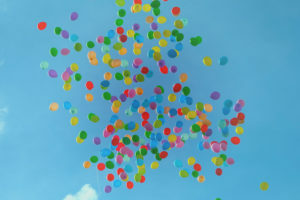 What if we told you that there’s more to just a simple balloon full of helium? That a company like Balloons & Beyond has taken a balloon, combined them with all types of other balloons turning it into an art form. One art form is called “Stacking” and another is called “Twisting”. Most are familiar with “Twisting” which involves using long, skinny balloons to form or “twist” as you may, into our favorite childhood animals or if you’re in Vegas, those shapes could get a little bit more risqué. The other art form, “Stacking”, is where you really impress people. 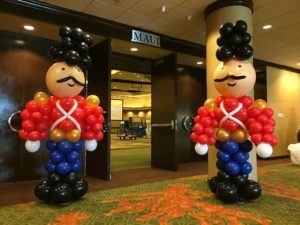 Balloons & Beyond is able to form structures from the simple accent of a table center piece, to large balloon arches, to even a full size balloon castle! 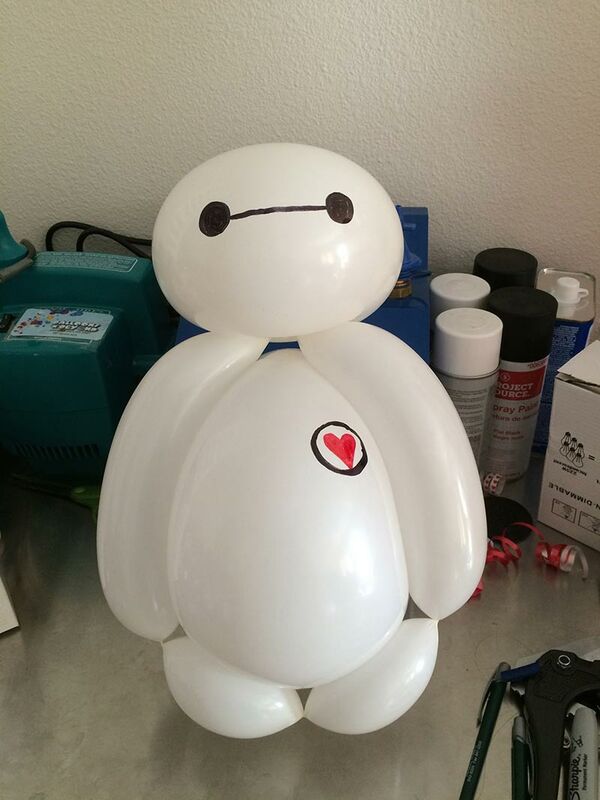 This has taken balloons to a whole new level of awesome! This is where you can really bring home the theme of your get-together, large party, or formal gala. It all can be done. From your easy going poker night with close friends to your classy formal corporate event. You want your trip to Las Vegas to be something memorable, don’t hesitate to get a hold of Balloons ‘N’ Beyond Las Vegas, your one stop shop for party decorations! Looking for Vegas themed party ideas? Start with balloons! They are the quintessential party favor when it comes to Sin City. And what better way to throw a surprise party than with balloons! Especially when you hire the right people to deliver and decorate your celebration adding a fun splash of creativity and color. So get your party juices flowin’ with the fine art of balloon decorations. You know that it will be a memorable event because there ain’t no party like a Las Vegas party ’cause the Las Vegas party don’t stop! See what’s going on at Balloons ‘N’ Beyond and start inviting all your friends to your fun-filled party! What are Las Vegas Balloon Arches? Many corporations hold their corporate events in Sin City displaying large Las Vegas balloon arches to welcome fellow coworkers like celebrities. Why hold them in Vegas? Because it’s nothing short of fun. Vegas tends to bring out the excitement in most people and everyone is ready to enjoy a great event. 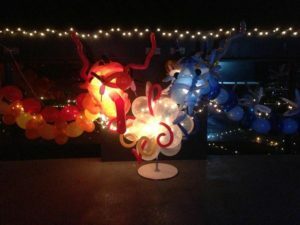 That’s why most hosts will use balloon decorations through out the venue to add a fun splash of color and get people primed for the rest of the night. 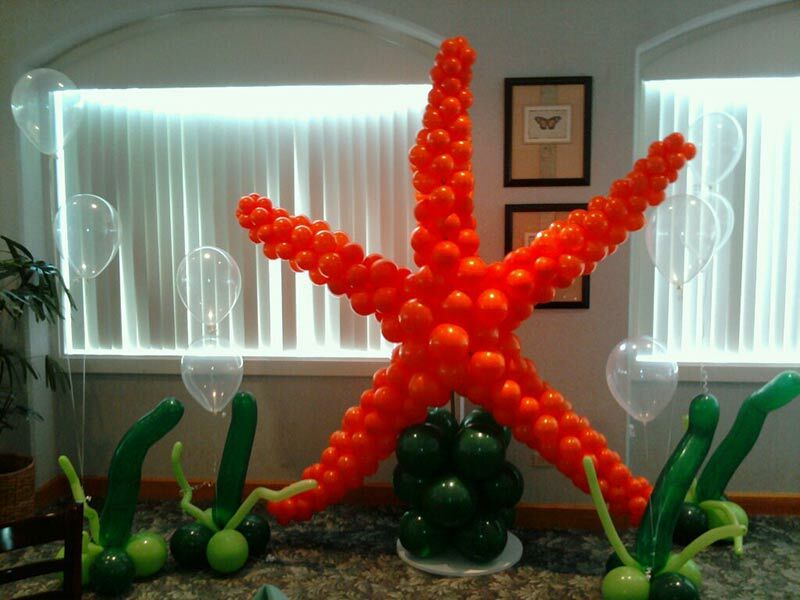 There are many balloon decoration ideas to get the party taste buds going. Las Vegas balloon arches are just the beginning. It’s a great way to make the attendees feel like they’re making a grand entrance. Then you can accent tables with balloon bouquets or center pieces. There are also what are called, “balloon trees” ranging from actual replications of trees to whatever your mind can think of. This is where the party theme of your event comes into play. The best way to get the idea juices flowing is to first come up with the theme of your event and then everything else will fall into place. With today’s balloon technology, expertise and experience in the balloon industry, there’s pretty much nothing that’s too grandiose. It all can be done! And when in Rome, do what the Romans do! Make that event memorable. Every host wants their guests to remember the event they created. And what better way to make that happen by making it fun with balloons everywhere! It immediately brings adults back to their childhood and the children just blow up with excitement at the sight of any balloon. Plus when you bring in a company that can build pretty much any structure out of just balloons you get a party that’s a step above the rest. You’ll see the bored eyes fill up with joy as soon as they walk in. Party balloons or a balloon for that matter is a flexible bag that can be inflated with nitrous oxide, oxygen, hydrogen, helium, air or water. We all love the water balloons during the summer! 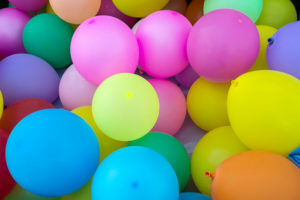 Today, modern balloons can be constructed from materials such as nylon fabric, latex, polychloroprene, or rubber and are available in many colors, shapes, and sizes. Perfect for customizing to any event or particular use! Balloons are used for a wide range of purposes. We’re all used to them as decorative or entertaining purposes for special events and parties. Yet they are also used for the military, medical treatment, meteorology, or transportation. Anybody ever been in a hot air balloon? Why are party balloons so popular? There’s a reason they are one of the most universally popular party decorations at any event from a casual get together to a formal event. They just happen to be the cheapest way to add a dash of festive color to any party! 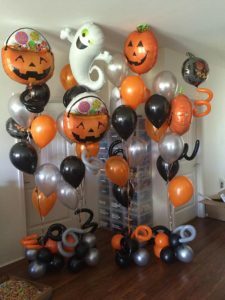 Once you know about the amazing balloon package prices at Balloons ‘n’ Beyond Las Vegas, you’ll never seek out a party decoration store again. 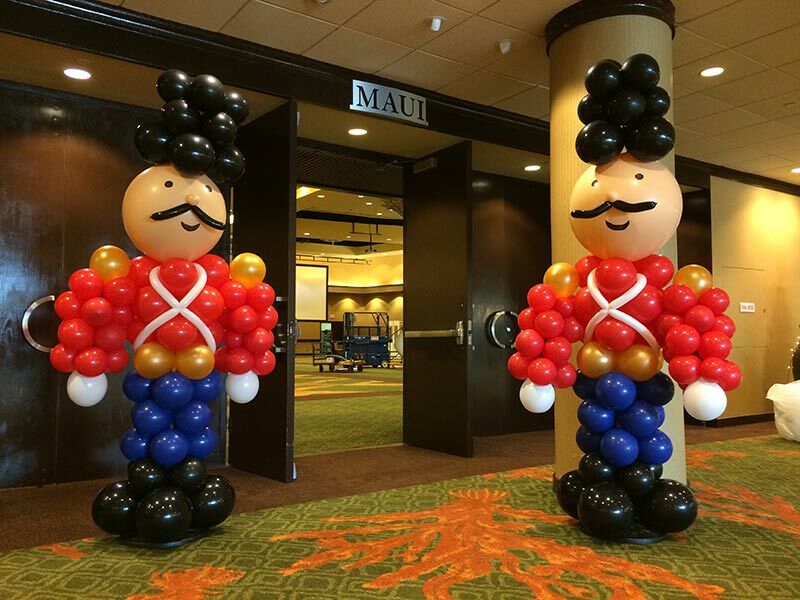 Balloon decorations are made with a combination of twisting and stacking techniques showcasing amazing creativity. They are typically used for decorating birthday parties, graduations, school events, corporate functions, and for other festive gatherings like weddings. 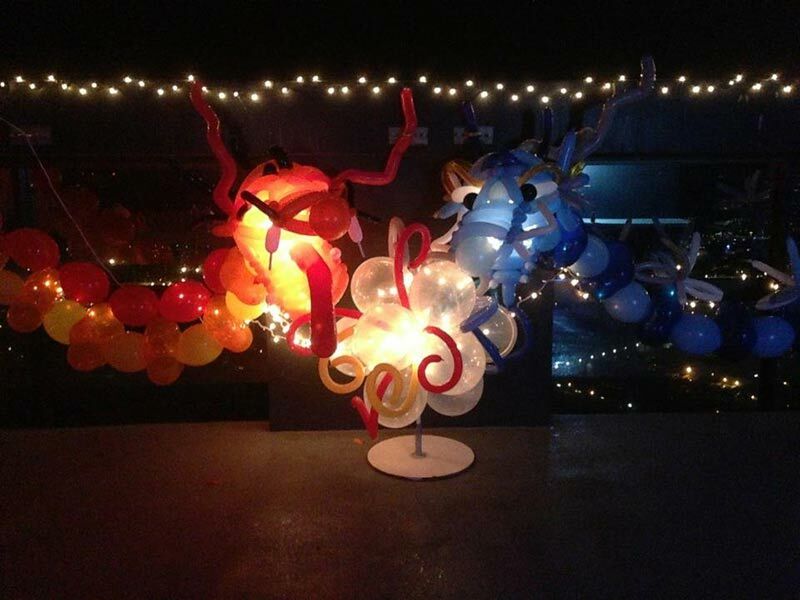 “Stackers” are balloon artists who use round balloons to build all sorts of structures like arches or balloon trees. “Twisters” are those who use pencil balloons to put together fun things like balloon animals. We at Balloons ‘n’ Beyond Las Vegas are known for decor such as balloon columns/trees, table centerpieces, balloon drops, sculptures, and balloon bouquets. You should see the balloon castle we can put together! Due to increased popularity of balloons, the manufacturing and decoration techniques have become quite epic. There isn’t an event out there that couldn’t have a customized balloon theme. Who doesn’t want a Las Vegas themed party? From the glitz of the main strip to the elegance of a Gala event, a Vegas themed party can be dressed up ready to step out on the town for any prom or formal. It can also go as casual as you want it for that poker night or a birthday party for the card shark in you. Planning a party in Vegas doesn’t have to be a gamble. By hosting an event with Balloons & Beyond Las Vegas you’re sure to deal the winning hand. Many fun things come to mind when thinking about your next trip to Vegas and how your fiesta is going to be. You’ll hit the jackpot with balloons as they are always a nice touch. Whether you’re turning 18 or 40 it should be a blast if you can celebrate in true “Las Vegas” fashion like a modern Casino themed Birthday Party! Try your hand with a Casino Royale theme. Our themed parties offer hundreds of free party ideas. We’ll include ideas about decorating the outside, entryway and the inside of your party space. We’ll also help with suggestions for invitations, activities, games and much more. Looking for some ideas for your next event in Vegas? 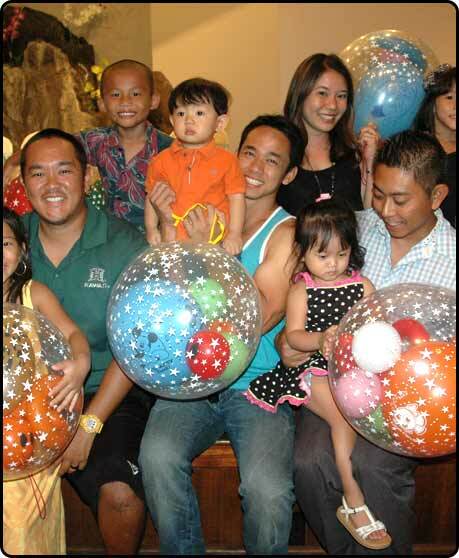 How about some Las Vegas party rentals that provide balloons for any occasion? 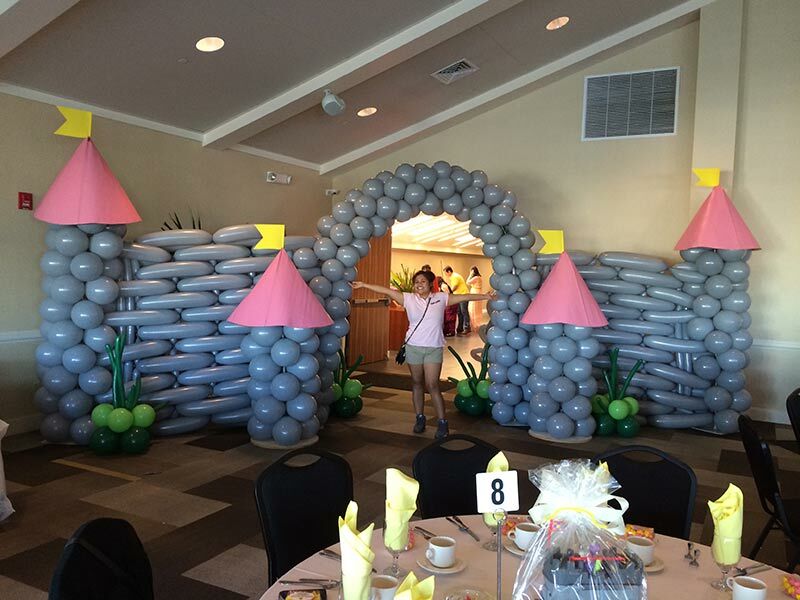 Think balloon trees, balloon arches, table center pieces or even balloon castles. Yeah, we said balloon castles and they’re not for your average party. Now that’s how you make a grand entrance! Las Vegas Party Rentals that will have you wanting more! In addition to what was mentioned above, you can have Balloons & Beyond expertly decorate your fiesta in almost any theme you want. Remember that fun Walt Disney movie Big Hero 6? Or how about a tropical getaway? Or maybe you’re getting ready for Halloween! These themes are just the tip of the iceberg for the party decorations we have in stock. You can count on us to turn an average party into the fun one that everybody will remember. Not sure where to start? Check out some of package deals here! 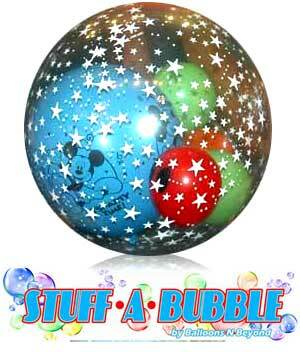 What’s more is our Las Vegas Party Rentals include our very own Stuff-A-Bubble. Whether it’s their birthday or just to get all their friends together for some good old fashioned fun. This is something for the whole family to enjoy making and they last up to 3 months if kept inside. These are sure to be the highlight of your kid’s next event. 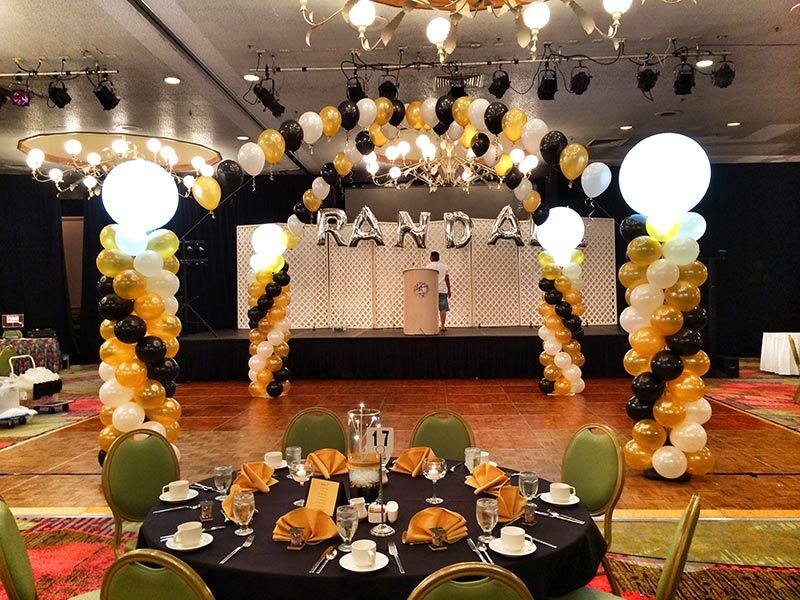 Add all kinds of fun to your events with Balloons & Beyond Las Vegas’s professionally designed balloon decor. 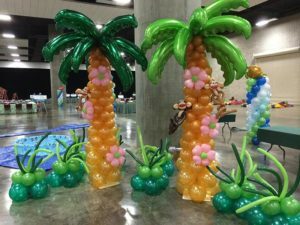 Choose our Las Vegas balloon delivery to receive only the best Balloon Arches, Balloon Trees, and Balloon Centerpieces or contact us at (702) 830-0811 for expert assistance in decorating your next event with balloons. 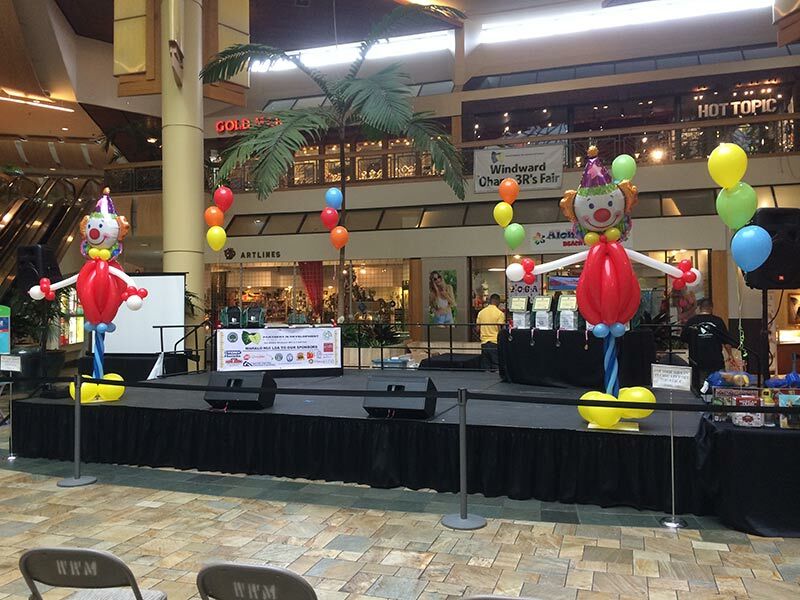 Get your Balloon Party going! We deliver your favorite balloons in Las Vegas offering a huge selection of affordable party themes and a lot more to make your occasion a special one. Want to see our amazing selection? Click here! Fun and bright balloon parties are just a click away. Looking for balloon decor, entertainment or something completely unique and different to impress your guests? Look no further! Balloons & Beyond has you covered! We do birthday parties, kids’ parties, and baby showers. We also do holiday parties, corporate parties, bar mitzvahs, bat mitzvahs and more! Seriously, you name it, we’ve probably done it! Furthermore we have over 20 years of experience in the balloon industry. Balloons and decoration are our passion. As a result you can expect an expertly decorated event for all to remember! Why Do We Love Rubber Balloons? 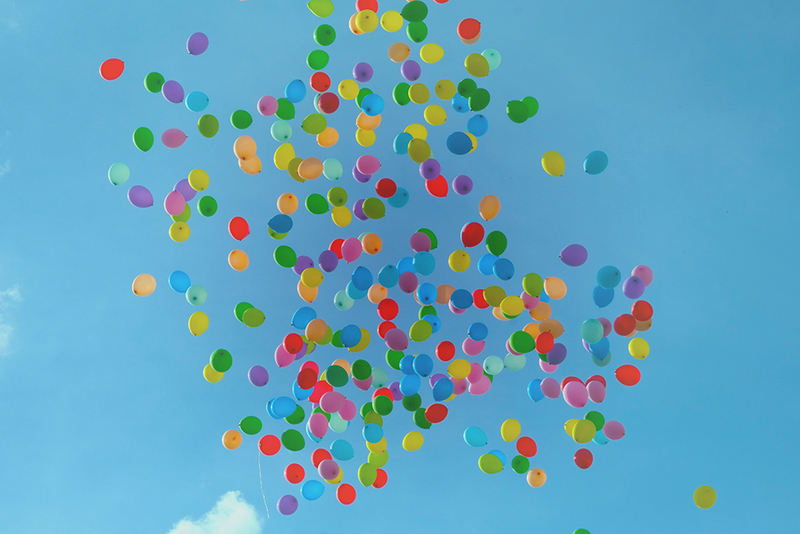 From hot air balloons to balloon parades to the simple birthday balloon for a child, you end up brightening someone’s day. Yet it’s the simple rubber balloons that we can’t get enough of. You may ask yourself why are rubber balloons so popular or why do we celebrate any event with balloons? Because they’re inexpensive, they defy gravity, and we can shape them into all kind of different shapes. And who doesn’t like popping one every now and then to scare the heck out of a friend or colleague? The military first used balloons for transportation, ways of communication, as well as scientific experiments. Then in 1824 a fellow by the name of Michael Faraday constructed the first rubber balloons in a laboratory, though they weren’t as close to the balloons we know of today. It wasn’t until 1847 when British inventor, Thomas Hancock, used vulcanized rubber creating something stronger and more elastic than its predecessor. In the late 19th century the New York Times published an article on the balloon’s industrial potential. It wasn’t until 1907 that U.S. would start manufacturing balloons and throughout the 20th century they started to be used for business, party favors, balloon animals, you name it. When the 1970’s hit, foil balloons came to be which were perfect for putting graphics and messages on them like “Happy Birthday” or “Congratulations”. Balloons are a blast and they’re not going away anytime soon. They’re as ubiquitous as flowers when it comes to graduations and birthdays. 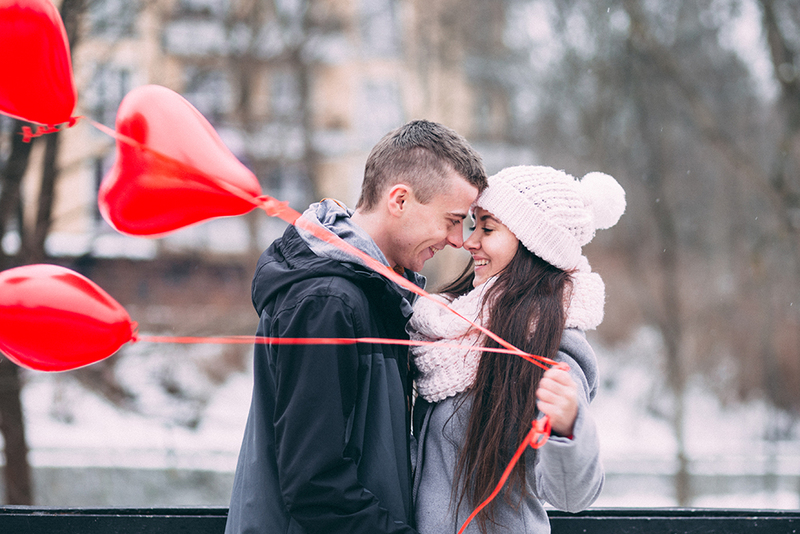 Let alone anniversaries or showing a loved one that you’re thinking of them. If you’re looking to add fun to your Las Vegas balloons event, Balloons & Beyond Las Vegas is the one to look for. We have what you need and we know our balloons! Author adminPosted on September 12, 2017 Categories BalloonsLeave a comment on Why Do We Love Rubber Balloons? What sort of event are you going to have in Las Vegas? A corporate event, a themed party, a get together, a fiesta for the little ones? How about some ideas that’ll help take your event to the next level with some Balloons Las Vegas! Think of balloon arches. Perfect for a grand entrance, we know how to get creative and put together an arch that will have your guests wondering how you made it happen! 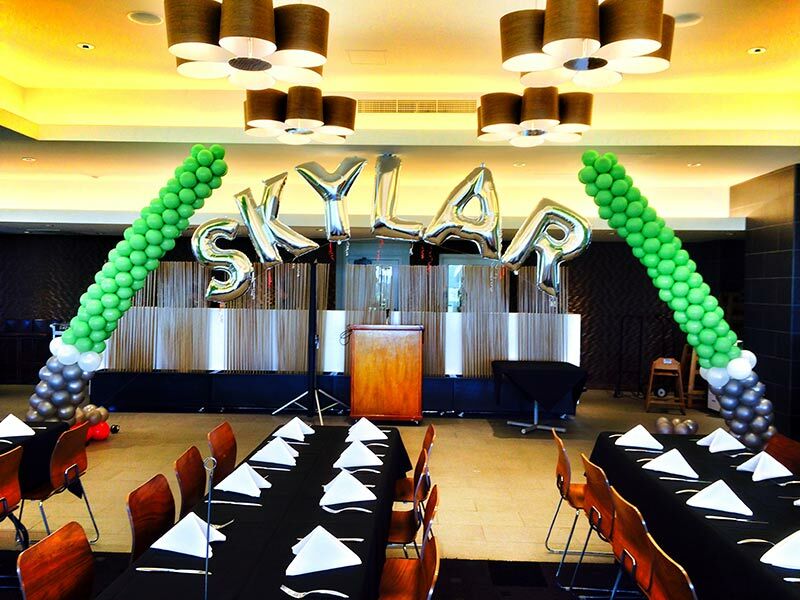 From table centerpieces to balloon towers to having custom wording incorporated into any of the balloon decorations for that special someone at the event. Your guests will know you went through a lot of planning to make sure everyone is having fun. Want a themed balloon party? Great for get togethers, fun parties, and birthdays, we literally have over 60 balloon themes to choose from and we can most likely help with any theme you want. From lady bugs to star wars to 4th of July to charity walks, there’s something for everyone. When you think of Balloons Las Vegas, think of Balloons & Beyond Las Vegas. Want a balloons Las Vegas party that’s special for the little ones? Oh do we have plenty of fun things to choose from! Minions, Hello Kitty, Mickey Mouse, Sports, Photo Balloons, Stuff-A-Bubble, and much more. Photo Balloons Las Vegas add more fun given we will use a photo you provide and put it right on the balloon. Children love to see themselves on a balloon. Want to keep the kids busy? Let them build a Stuff-A-Bubble! They’ll get the excitement of building their own custom Stuff-A-Bubble balloon that can last up to 3 months when kept indoors. Watch the making of these fun balloons here! Feel free to contact Balloons & Beyond Las Vegas here! 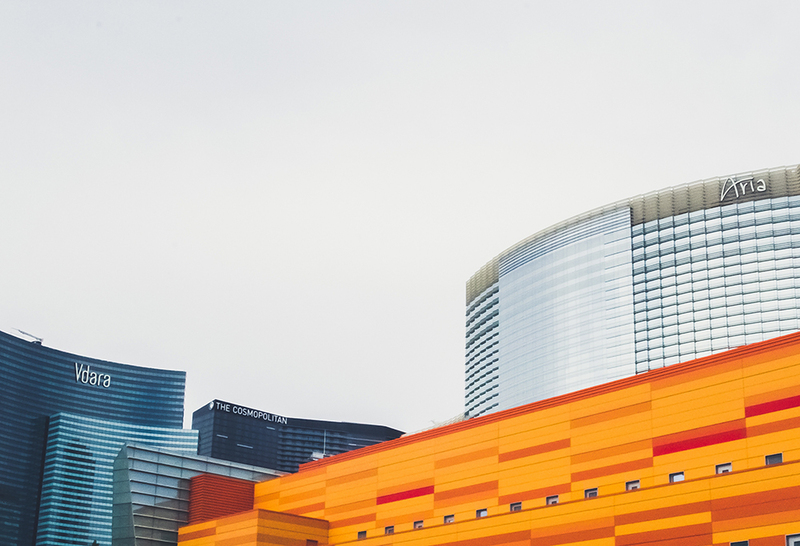 When it comes to Las Vegas, you want to do it big. 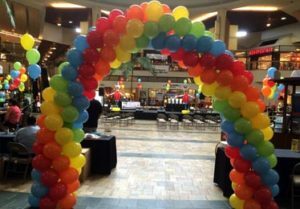 We at Balloons & Beyond Las Vegas know very well what it takes to add more fun to your party or event as we are a full service balloon operation with over 20 years experience in the balloon industry! Why just have a party when you can add balloon themes like Minions, Halloween, Star Wars, Dinosaurs, Mickey Mouse, Finding Nemo, Monsters Inc. or anything your party heart desires? With over 60 different themes to choose from, we’re sure your Las Vegas party decorations will be the life of the party. 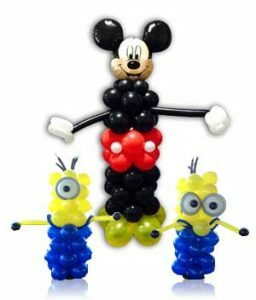 No matter if you’re a Las Vegas resident or visiting, we can offer the balloon party decorations you’re looking for from children to adult themes. CLICK HERE to visit our site for more information and enter some information on our contact form we will need for a Free Quote. Corporate parties are another specialty of ours! We can do table centerpieces, table bouqets, Balloon Archs, personalized balloons, and much more! Ask us about our photo balloons which are always a party pleaser or try out our signature Suff-A-Bubble . Know someone who’s graduating and want to welcome them into their bright future? No problem! We’ll help send them off properly. 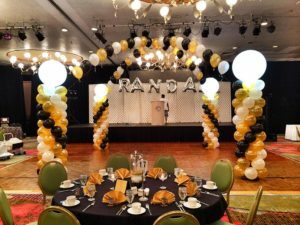 You’ll see that we have a lot to offer and our passion is to make sure your event is a blast so that you think of Balloons ‘N’ Beyond Las Vegas for your next one. Give us a call at (702) 830-0811 or shoot us an email at Sales@balloonslasvegas.com Even better yet, just go to our Contact Form and quickly fill out the information we need to get your party or event started! We are the one stop shop for you Las Vegas Party Decorations.